The breakthrough for the RAM 1500 model in 2014 was the introduction of the New 3.0-liter EcoDiesel engine, making the RAM 1500 the only half-ton pickup truck to offer Diesel-, Gas-, and Flex Fuel-powered engines with an award-winning powertrain that makes no compromises on power, towing, and fuel economy. The 3.6-liter Pentastar V-6 engine boasts best-in-class towing with a rating of 7,400 pounds among base V-6 engines in the RAM 1500's segment. The Ram 1500 is also the only truck in its segment to offer an air suspension for even more fuel efficiency, on- and off-road control, and ride quality. Powering the 2014 Ram 1500, EcoDiesel 3.0-liter engine, is a turbocharged 60-degree, dual overhead camshaft (DOHC) 24-valve V-6 that delivers 240 horsepower and 420 lb.-ft. of torque, and is more efficient than all V-6 gasoline engines in the half-ton category. Like the 3.6-liter Pentastar V-6 and 5.7-liter HEMI V-8 gas engines already offered on the Ram 1500, the EcoDiesel V-6 is paired with the TorqueFlite 8, the only eight-speed automatic transmission offered in the half-ton class currently. The 3.6-liter Pentastar V-6 engine with variable-valve timing (VVT) offers 305 horsepower, 269 lb.-ft. of torque and best-in-class fuel economy of 25 mpg. The 2014 Ram 1500 retains its rough and tough exterior with an award-winning interior (Ward's 10 Best Interiors), exterior design aesthetics and segment-leading technology. 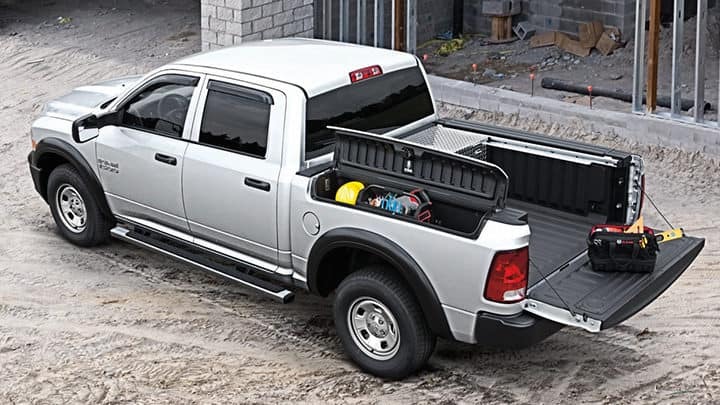 Every Ram 1500 truck benefits from equipment specifically designed to match each model's unique style and capabilities. 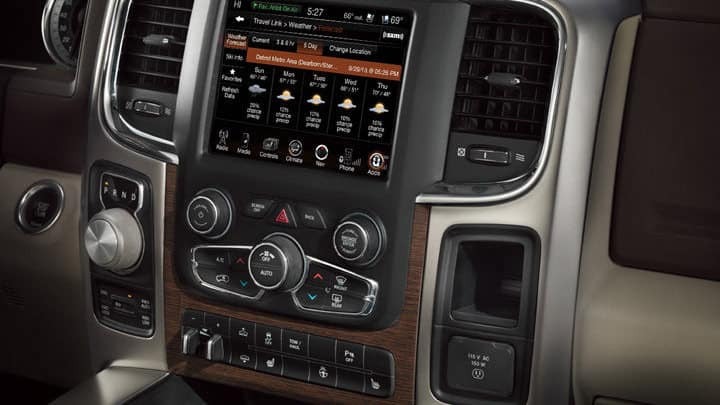 The 2014 RAM 1500's interior is a cut above the rest with premium quality materials, Bluetooth connectivity, and all around cabin refinements that leave little room for improvement. The Uconnect interface allows drivers to connect devices and use handsfree commands and steering wheel buttons to navigate the intuitive interface, even with work gloves on. The 2014 Ram 1500 equipped with a 3.6-liter Pentastar V-6 achieves best-in-class base V-6 engine towing capacity of 7,450 pounds. The 2014 Ram 1500 delivers best-in-class fuel economy with a host of pioneering, fuel-saving systems including: an eight-speed automatic transmission, a stop-start system, thermal management system, pulse-width modulation, and active aerodynamics with grille shutters and an air suspension. All these fuel saving systems add up to exceptional fuel economy from a V-6 of around 25 MPG highway from the EcoDiesel 3.0 engine.